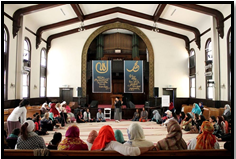 Muslims across the globe – from the Middle East, North America, South Asia, and beyond – have been in constant engagement with the changing material and social conditions of human experience. The conference will explore the multiple ways that Muslims in various places have confronted and objected to these conditions historically and in the present. These changing conditions have been evaluated from a variety of vantage points, whether through sociological, theological, economic, historical, or artistic means. Studies of affect, comportment, bodily habit, and discipline could provide an alternative critical lens through which to interrogate the dynamics and practices of power within, between, and against Muslim collectives throughout the world. This year’s workshop asks how affect is intimately connected with historical and contemporary practices of dissent among Muslims. Furthermore, we are interested in challenging disciplinary boundaries, while also contributing to the burgeoning body of scholarship on affect and religion in Islamic and Middle Eastern Studies, broadly defined. Please register here for the workshop. Please email Samah Choudhury, samah@unc.edu, for more information. 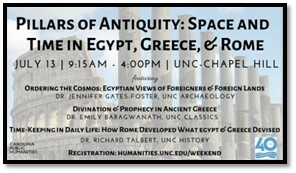 Sponsored By: Carolina Center for the Study of the Middle East and Muslim Civilizations, UNC Department of Religious Studies, UNC Asia Center, Duke Department of Religious Studies, Duke Department of Cultural Anthropology, Duke Department of Political Science, Duke Islamic Studies Center, Duke Middle Eastern Studies Center.